← Descend from Yr Aran. 16°C, woke to rain, brighter by lunch. It’s a shame to pack the tent away wet. Once decamped, a visit to Caffi Gwynant is the obvious thing to do. As I have discussed here before, I have a fascination for the Migneint. It’s a plateau (which was the centre of an ice sheet in glacial times). A rolling area of grasslands cut by meandering rivers. 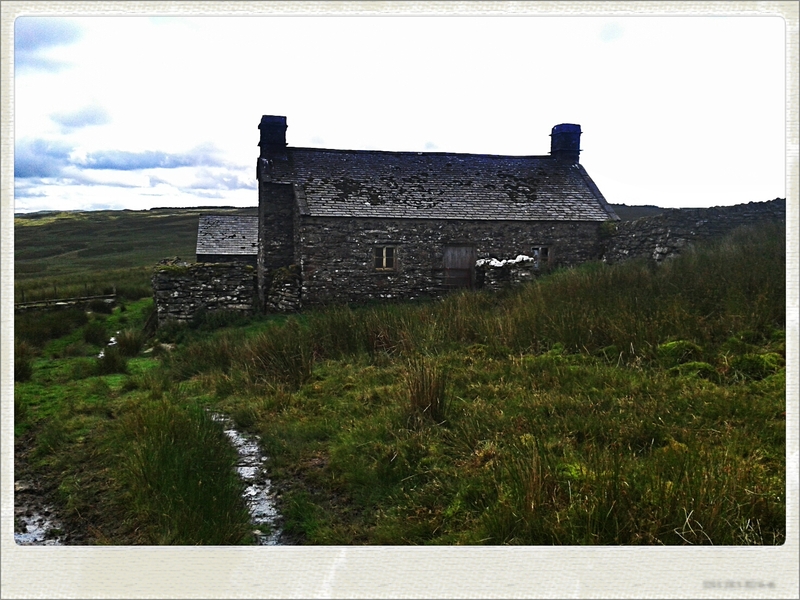 Last June, I checked out the start of a walk to the bothy near Arenig Fach. The route started tricky, but is easy to navigate later. Strangely, the marked footpath deviates from the track on the map, but nothing was apparent on the ground. Simply walk along the track then! This a fairly high altitude area, though it doesn’t look like that while there. These hills are between 400-500m, as high as the ridge I used for the last wild-camp. One clue was the fresh, cooler air. The bothy was fairly typical, perhaps a little rougher than others. There was a newspaper from the 5th June on the table. The place was dirty and had few sleeping areas. Outside, the sides obviously used it for shelter although the door was well barricaded against them. Not a very inviting place to stay, I’d prefer a tent. However, if you want a bad weather shelter, or you’re travelling light, this could be a solution. I would clean the place first thought. This entry was posted in Hiking, Hill & Moorland and tagged makes, Migneint, Walking. Bookmark the permalink.